Add the water, cinnamon and cane sugar to a pot and cook until the sugar has dissolved completely. The ice will be flavored with coffee and coffee with condensed milk. Combine the half-cup of condensed milk with 1 cup of cinnamon coffee. To make the cubes, first add this mixture to the tray and fill half way. Place in the freezer and let harden. Once the first layer is frozen, add the coffee with sugar and cinnamon. Freeze until firm. 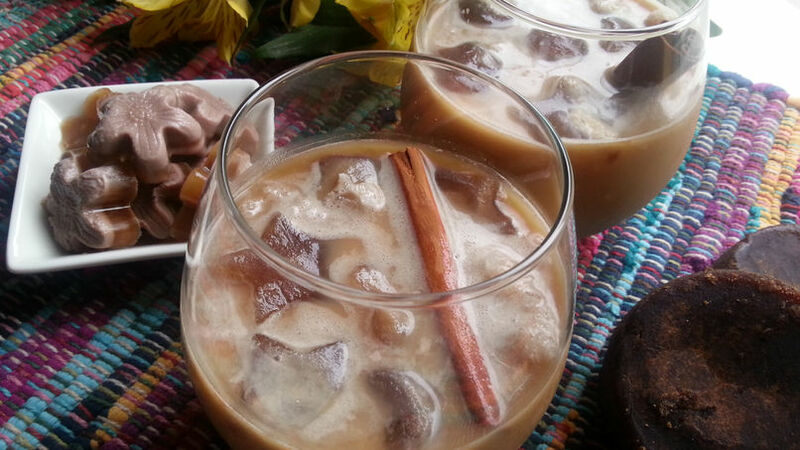 Prepare the cold Mexican coffee with almond milk, add the ice and garnish with the cinnamon stick. Enjoy! You can use regular milk if you prefer. There's nothing more delicious that a nice cold cup of coffee to ward off the summer heat. There's no better way to enjoy coffee than with a touch of Latin flavor like Mexican coffee sweetened with unrefined cane sugar and cinnamon. This is why I want to share this Mexican-style iced coffee. Enjoy!